Prasar Bharati has completed its 38th e-auction for vacant MPEG-2 slots of DD Free dish DTH under the revised policy. It was first e-auction which was completed under backet wise e-auction. But, it is bad news for DD Free dish viewers that popular TV channels may not available from 1st March 2019. The new channels will be on air from 1st March subject to completion of formalities. The full details of the channel line up and highlights will be notified shortly. What happens if all popular channels to be removed from DD Freedish? 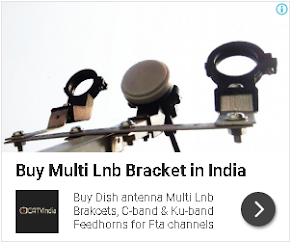 For more updates of DD Free dish, keep visit freedish.in. They have not participate in e-auction. Because paid DTH users will be diverted to DD freedish. Yes Bad news. DD India is available which show 50% contents in English. All the public entertainment/religious channels you have removed from DD free dish,it is observed that you are not interested that the public may watch free dish programmes. I think that it is not in the knowledge of Government.Restart all the free to air channels on free dish.otherwise it will be flop show. Very good news...For adding new channels.